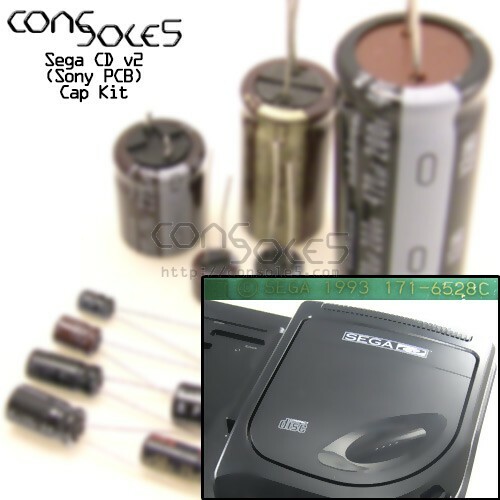 This kit contains all necessary electrolytic capacitors for the Sega CD v2 Sony-based system, PCB 171-6582C with KSS-240A or JVC Optima-6 laser. It does not include any miniature caps on the laser heads (they are not inherently prone to failure and the risk of damage to the laser is high). For capacitor lists and maps, please see our Sega CD v2 Wiki page.